When mobile apps company Formmobi announced it was ceasing operations this week, we at iForm were not happy. Why, you ask? Aren’t they a competitor in the field of data collection apps for mobile devices? Couldn’t some of those clients come to iFormBuilder to be a part of the fastest growing data app in iTunes and Android? apps for Architects, assessors, flooring contractors, construction professionals, home inspectors, landscapers, and city planners, using FormMobi on their mobile devices to ditch their clipboards, eliminate the mistakes inherent with the typing in data — and most importantly, saving time and money. The iFormBuilder team was impressed by FormMobi’s app, and we certainly were inspired to make ours just as in-depth, robust and easy to use as formmobi. We also strived to go beyond their app with unique data capturing widgets, a powerful online form builder, and something that no one can beat, our super duper deep documentation and help desk. We think competition is a good thing. It makes us all work harder– and we were proud to work in the data collection apps marketplace that FormMobi did. Interested in checking out iFormBuilder, and finding out if it is the data collection tool your company needs? Then sign up for a FREE trial, and watch some of our learning videos on getting started. Oh yeah, pricing. There aren’t any hidden fees here, you can start a plan for as little as $10/user per month, starting with as few as 5 users. But our platform is so deep, you can go up to 50, 100, or even a million users, with our Unlimited Plans. So, FormMobi, iFormBuilder salutes you– and we’re here to pick up where you leave off. To all our new users and friends– we’re just getting started! 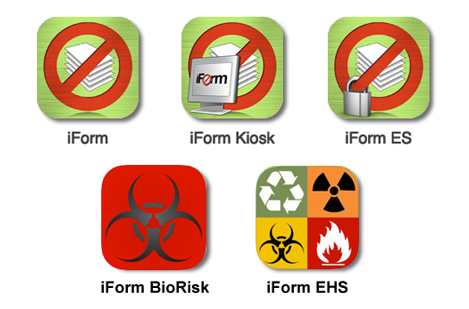 Still not sure?– open a chat at the bottom of our website, and find out if iFormBuilder is really the best data collection app for iOS and iForm. iFormBuilder is a universal, cloud based mobile data collection platform helping customers around the globe collect data on their mobile devices. Here at iFormBuilder, we believe “Knowledge is Gathered.” The iFormBuilder Mobile Platform offers companies, universities, non-governmental organizations (NGO) and government agencies the ability to build robust and flexible forms, maintain unmatched security on mobile devices and collect data with or without an Internet connection. How do I create a new iFormBuilder user?